3.67mm x 26.12mm / 0.145in. x 1.028in. 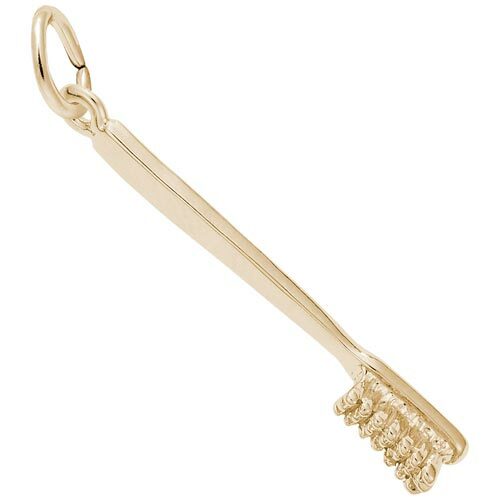 Dentists agree, our three-dimensional Toothbrush Charm will bring a smile to her face. Great gift for a dental hygienist. Available in silver and gold.